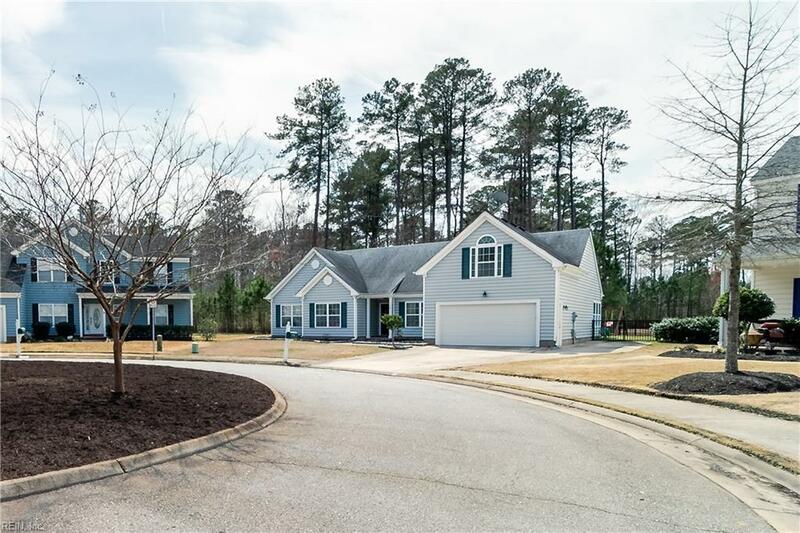 114 Zebulon Ct, Suffolk, VA 23435 (#10249969) :: Abbitt Realty Co.
***Open House Sat 4/6 from 12-4pm***Don't miss out on this rare location tucked in the very back of Belle Harbor neighborhood! 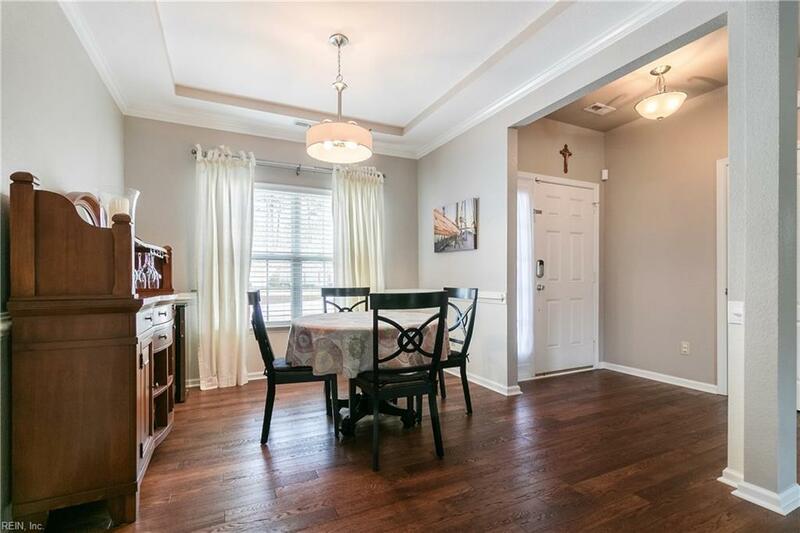 This home has an open concept w/ tall vaulted ceilings and offers so many upgrades such as; Corian Counters w/ nice center island in kitchen along with newer SS appliances, wood floors, ceramic tile and bedroom carpets just professionally cleaned. The room over garage is finished w/ a full bathroom and builder added a bright sunroom looking out onto a big fenced backyard and pond. The driveway is extra wide allowing an extra vehicle to be parked and it is located on the cozy end of a cul-de-sac. 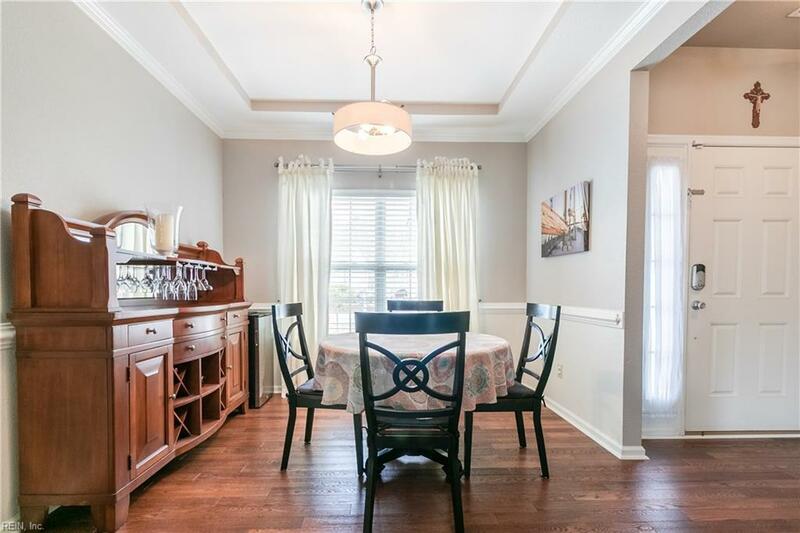 This is just minutes to all amenities of growing Harbor View w/easy access to interstate, military bases and hospitals. 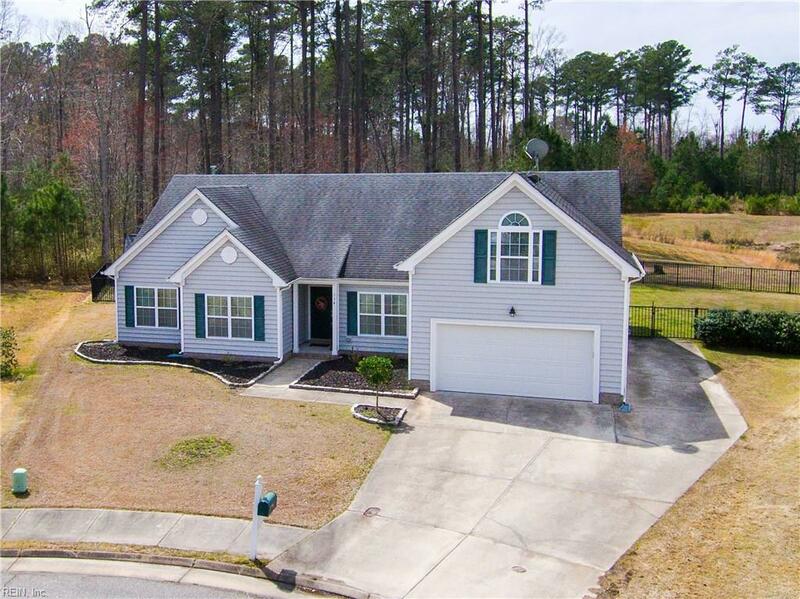 Hurry and schedule a showing!